Welcome to our company. We are known for helping residents get their kitchens in pristine condition thanks to our professional kitchen cleaning service in Balham, which is specially designed to cover all your kitchen deep cleaning needs. We have years of experience in this field. We operate in small and large facilities. 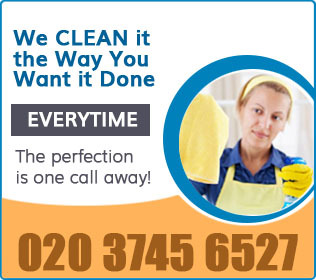 We carry out all the work using our own cleaning equipment. We are professional, careful and sophisticated. You can get our service by giving us a ring any time during the week and having a conversation with one of our representatives. We will be expecting your call. We are known for not only giving a quick wipe down of kitchens, but also doing a deep clean, giving every area the attention it needs. Range hoods, ovens, worktops and sinks are just some of the areas we will attend to. We will check tops of cabinets, the inside of drawers and cupboards, baseboards, corners, door knobs, undersink area and much more. We are extremely careful when working around your fixtures and furniture. We have worked in both small and big kitchens and we use safe cleaning practices as well as cleaning products that were specially designed for domestic surfaces. Our powerful cleaning products loose grease, stains and limescale that are common offenders in kitchens. When we clean your kitchen from the top to the bottom, your cooking and dining experience will be more enjoyable for all of your family members. It is recommended that you opt for our kitchen cleaning service in Balham if your kitchen is in dire need of deep cleaning. We will take care of all the work. You can get more information about us via our call centre. Feel free to join our company today.